taking your yard’s lighting scheme to the next level. 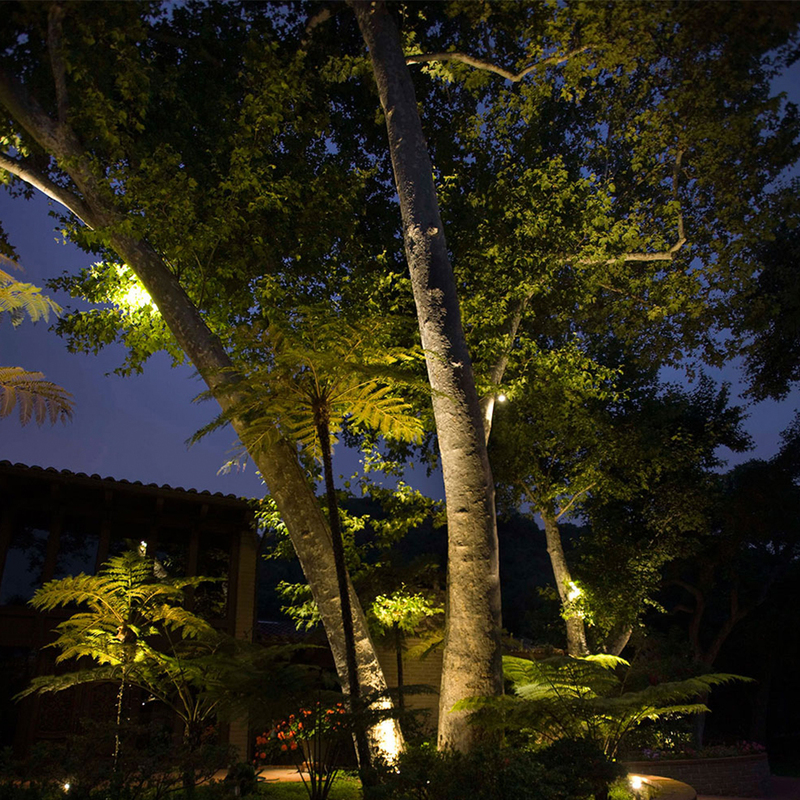 Like many things in life, less can be more—and this is the case when it comes to landscape lighting. Your instinct might be to light up everything: every detail, every tree, every nook and every cranny. But besides potentially running up your power bill, this will wash the yard out. 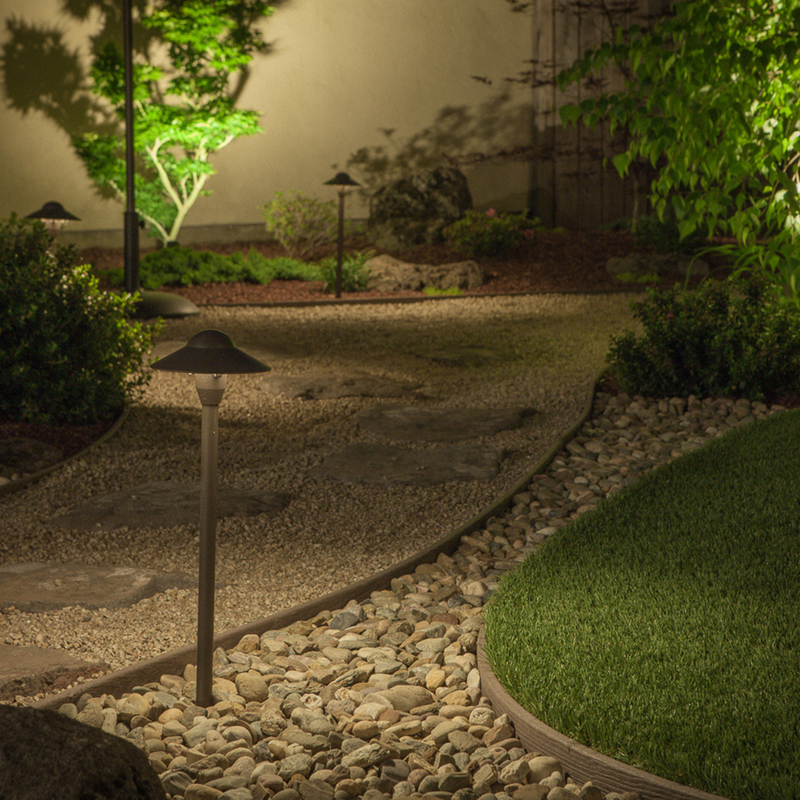 What makes a space special during the night is the play of light and dark, highlighting features that you may not take note of during the day and creating contrast and shadows using the forms and plants in your yard. Playing with these elements creates intrigue and drama, and a well-lit space will often be one in which you want to stay. Identify the features in your yard that you like. Maybe it’s a pond or a particularly stately tree—highlighting those with light will show them off. 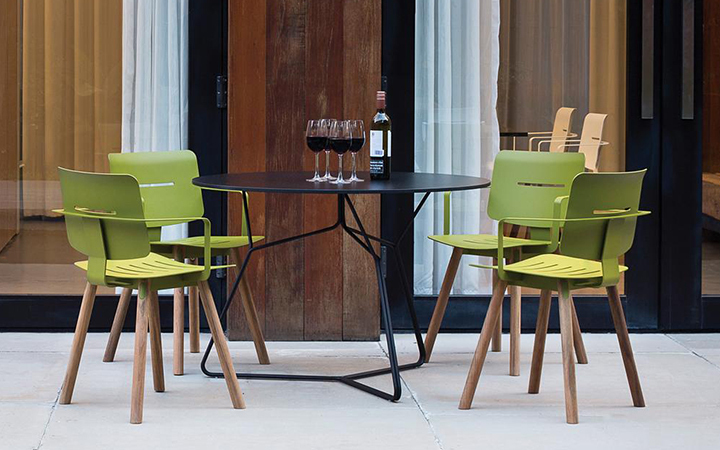 Add drama to areas that might not stand out during the day. 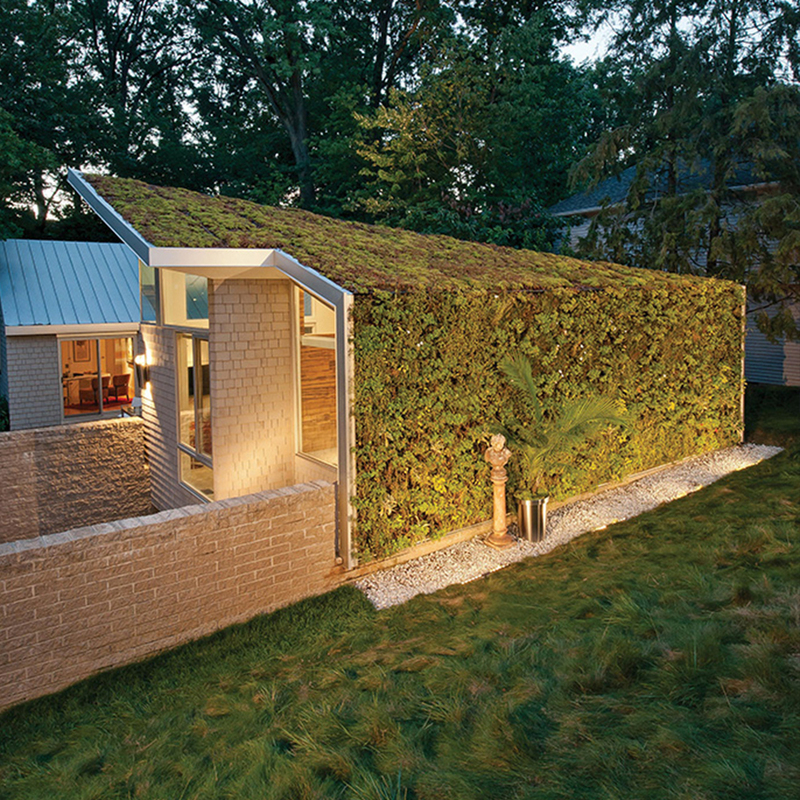 A simple stone wall can take on a whole new personality at night when grazed with light and shadow. Think about function. A deck with stairs or a meandering pathway need to be lit to ensure that you can can move about your yard without risk of injury. And always consider an inviting and well-lit entryway. By properly illuminating the entrance to your home, the light provided by one or two outdoor wall sconces will safely guide family members or guests while creating that warm and welcoming curb appeal. 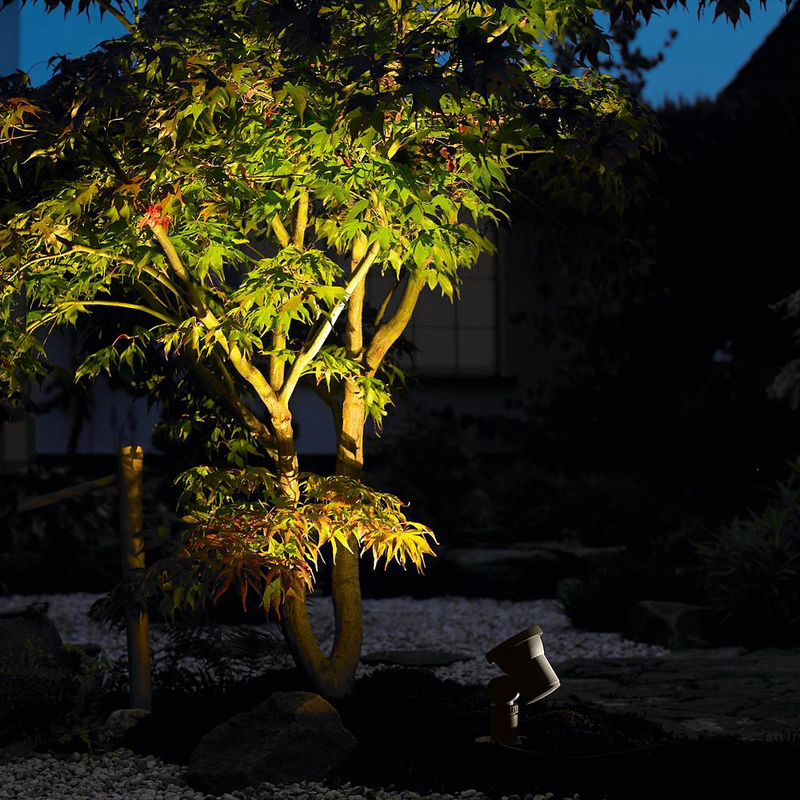 The goal of landscape lighting is only see the effect of the light, not the light source itself. 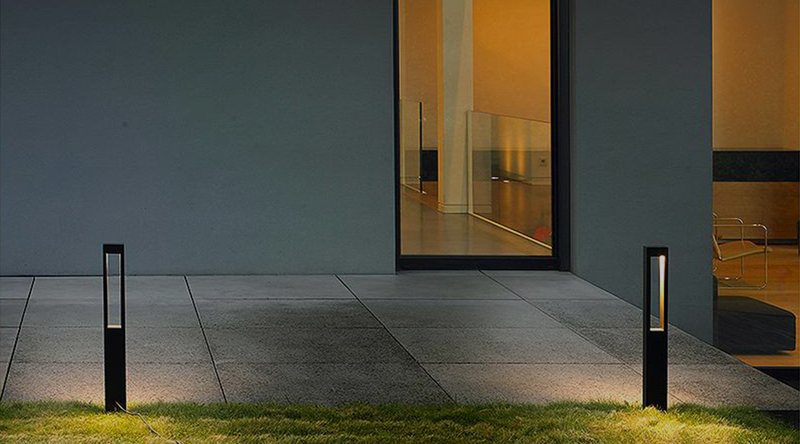 The exception is path lighting, which are designed to be decorative and on display. This is probably the most common type of landscape lighting. Path lights are small posts that have a light built in and are capped with a diffuser. 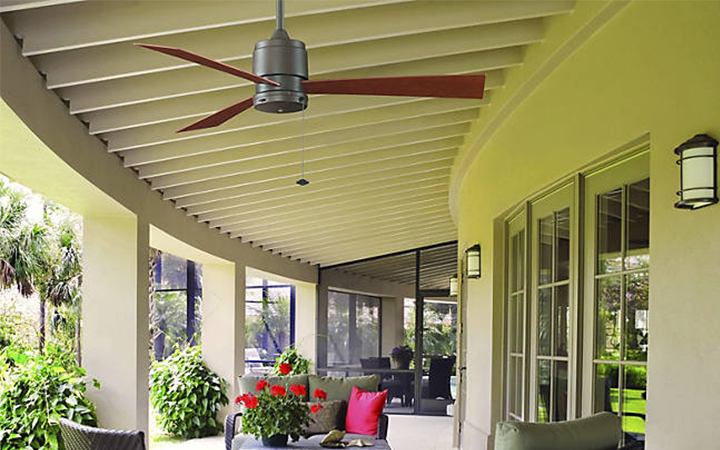 They can be spread out down a walkway or used to frame out a space or feature in a yard. Line them down a path, around a pond or along the outline of a driveway. When a more architectural light is needed, postmount lights are designed to install onto a post or on top of a structure. They’re commonly used for entries, gates, fences or around a deck. Used as an accent to architectural details and add safe passage to dark stairs, deck and step lights are installed directly into a yard’s hardscape or decking. They can also be used for washing light down stone walls, lighting up entertainment spaces. This is the heavy duty cousin of the path light. 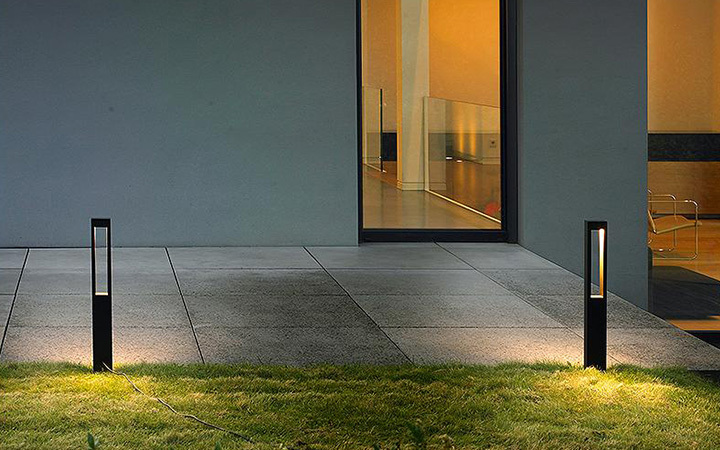 Bollard lights are great for creating an architectural look or to stylize a space. Use them as guide posts around a space or to separate a driveway from a yard. These are going to be the backbone of any landscape system. Spotlights can be used for highlighting a number of outdoor features, including trees, buildings, sculptural and architectural details. Another variant on the spotlight, well lights are recessed into the ground to create a seamless look in both landscape and hardscape setting. The inset profile is minimal and can be used to uplight trees, walls or art. A spotlight aquatic! Also similar to the spotlight, but made to be submerged in water to add real drama to outdoor water features. 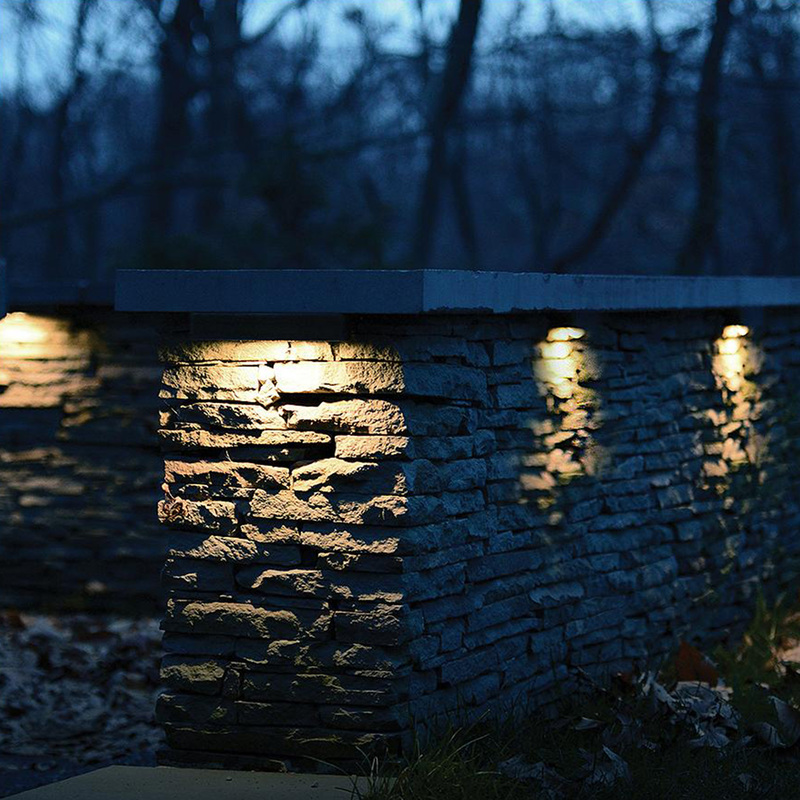 Hardscape lights are a newer addition to landscape lighting, thanks to LED technology. These are tiny lights with brackets or flanges that install onto or into structures that are used to wash and graze walls with light. Don’t feel overwhelmed—there are a lot of types of lights and a lot of spaces to place them. One of the best things that you can do to scope out your own project it to grab a good, high-powered flashlight with a dimming optic and get out into your yard at night. Then, play with the light. See what looks cool, or what might not work as well. 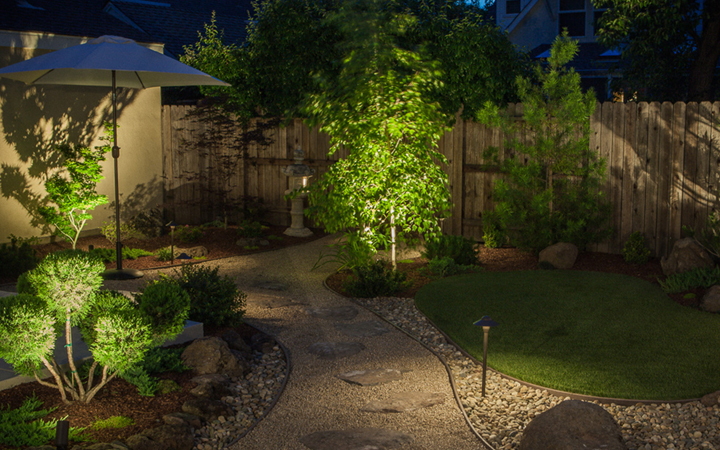 Up lighting is one of the most basic forms of landscape lighting. It is used to create drama with a taller structure or tree. You can choose to highlight the trunk of (generally larger) trees, or the underside of the tree’s canopy on larger or smaller trees. This is a fantastic effect for highlighting dramatic shapes you might have hiding in plain daylight. Place the light source behind the item, and light toward where the main vantage point will be, making sure that the light source itself cannot be seen. This is the reverse technique of silhouetting. Placing the light between the main vantage point and the item being lit, with the light source aimed at the item. This really only works when you have a wall or flat surface behind the item being lit to catch the shadows created. But it can create a bit softer, more moody effect. Have an extra-large tree that deserves a special treatment? Giants, especially evergreens, can look amazing when you double-team them with lighting. Get both a spotlighting and a moonlighting effect by placing two spotlights half- to three-quarters of the way up the tree. Aiming one light up and one light down will create a dramatic effect, and the year-round foliage will hide the light sources. This can be a great option if you have a hardscape-heavy yard. Grazing involves placing the light close to the flat surface and aiming directly up or down the surface to create dramatic light and shadow play. You can graze up or down, but the idea is to take advantage of a texture across a flat plane, so uneven or irregular patterns work best. 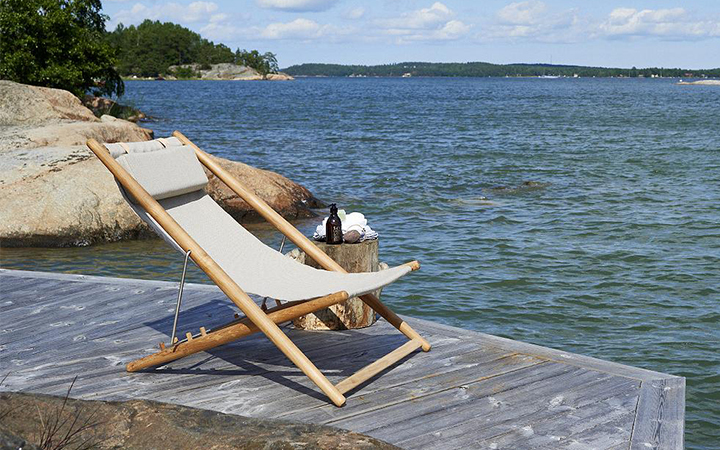 This can add an upscale touch, as it is often seen in hotel and restaurant design. This one seems pretty basic, but it can easily go wrong. Think about how many lights you really need. People often use way too many, creating an over-lit space that feels cramped. If possible, try placing the fixtures on either side of the path, working back and forth to create an effective and inviting entry. 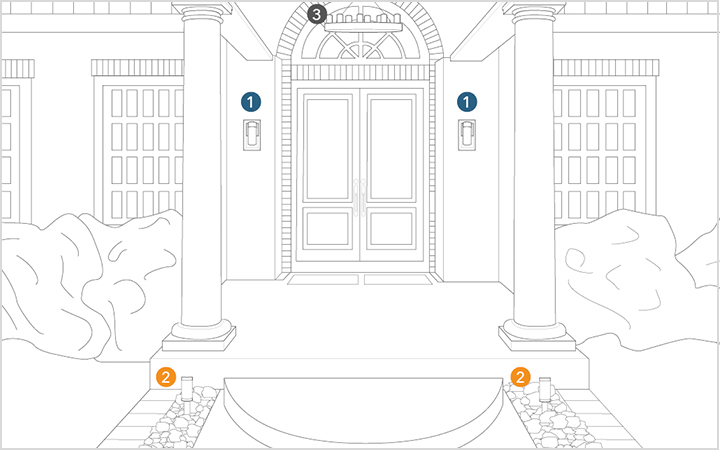 Now you have the basics to go forth and lay out your own landscape design. It's important to note that it's still important that you consult with a professional when laying out your landscaping plan so they can ensure you're working with the right voltage for your transformer and other important details. The key is to take your time. And you can start small and build from there—an over-lit space can be as uncomfortable or unusable as a completely dark one. There are a million ways to light your landscape, but the fun is in creating a unique look that reflects your own personal taste and lifestyle.